Pharmacies closed by Hurricane Florence are working to re-open amid loss of power or other weather-related events. Meanwhile, customers are being directed to open stores in or near the affected areas, and some pharmacies are going even further to assist staff and customers as they recover from the storm’s impact. In a prepared statement, Walmart officials said the company’s first priority is the safety of its team members and customers. Throughout the storm, Walgreens has conducted wellness checks on all field and store team members in impacted areas, and the company is making disaster support services available those employees who have been displaced or in need of additional resources. Additionally, in North Carolina and South Carolina, Walgreens has donated $200,000 to the American Red Cross for hurricane relief efforts. The company also donated non-perishable food items to help support emergency shelters in the region. 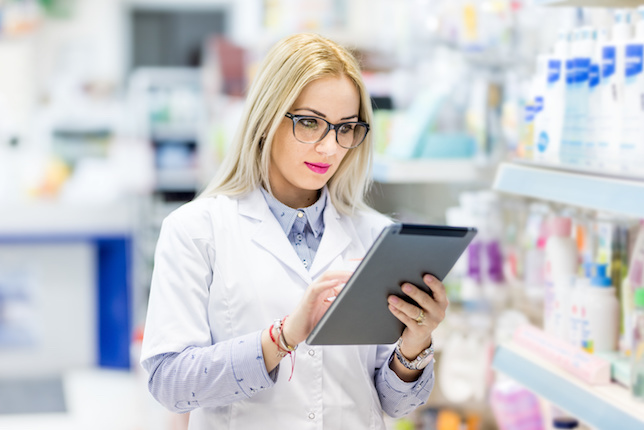 Large pharmacy chains, including CVS and Walgreens, are keeping customers updated about the status of stores in the impacted areas through technological means. CVS is maintaining and updating an online list of stores that remain closed, due to the hurricane. The company is encouraging customers to visit alternative locations that can serve their prescription and emergency needs, such as first aid supplies, bottled water, and flashlights. Walgreens is providing updates on store locations across its social media platforms and mobile app, as well as an online store locator. The Walgreens Emergency Operations Center in its Deerfield, Illinois support office is working with field leaders in the impacted areas to restore pharmacy services at stores in the region as quickly as possible, company officials said. According to its prepared statement, Walgreens is working to deploy mobile power generators to locations without power, and as store operations begin to resume, many site in North Carolina and South Carolina are providing charging stations for customers to charge cell phones or medical devices at no cost. In the event of stores that are unable to reopen in a timely manner, Walgreens also has mobile pharmacies that can be deployed to those locations. Ahead of the storm, CVS Health reached out to pharmacy customers through text messaging and emails to remind them to refill prescriptions in advance. The company also activated a process, through its pharmacy benefit manager CVS Caremark, that allowed it to provide 1-time emergency refills of a 10-day supply of medication for plan members in impacted areas. According to CVS officials in a prepared statement, CVS Health has a long history of providing aid in times of disasters, helping communities prepare and recover by donating emergency supplies, such as food, water, and home and personal products. In the last 10 years, CVS Health and the CVS Health Foundation have donated more than $11 million in cash and in-kind donations in response to disaster events. Regional chain Food Lion, which offers an in-house pharmacy in many of its stores, is also stepping up to support disaster relief initiatives. In a prepared statement, the North Carolina-based company said it is accepting customer donations at its registers to raise funds for the ARC disaster relief efforts. Click to read about Preparing for Medication Safety, Accessability During a Natural Disaster. Walgreens to Donate $200,000 to American Red Cross to Aid Communities Impacted by Hurricane Florence; Company Quickly Restoring Services and Operations to Meet the Need for Prescriptions and Other Essentials [news release]. Deerfield, IL; September 18, 2018: Walgreens website. https://news.walgreens.com/breaking-news/storm-information/walgreens-to-donate-200000-to-american-red-cross-to-aid-communities-impacted-by-hurricane-florence-company-quickly-restoring-services-and-operations-to-meet-the-need-for-prescriptions-and-other-essentials.htm?view_id=8541. Accessed September 18, 2018. CVS Pharmacy Store Status—Hurricane Florence. CVS Health website. https://cvshealth.com/newsroom/cvs-pharmacy-hurricane-florence. Updated September 18, 2018. Accessed September 18, 2018. In Support of Hurricane Florence Disaster Relief Efforts, Food Lion Invites Customers to Make In-store Donations to American Red Cross [news release]. Salisbury, NC; September 14, 2018: Food Lion website. https://newsroom.foodlion.com/press-release/business-brand/support-hurricane-florence-disaster-relief-efforts-food-lion-invites. Accessed September 18, 2018. Healthcare Ready partners with Google [news release]. Washington, DC; February 12, 2018: Healthcare Ready website. https://www.healthcareready.org/press-release/Healthcare-Ready-Partners-with-Google-to-Help-Improve-Future-Disaster-Response-Efforts. Accessed September 18, 2018.